People take up martial arts for all kinds of reasons. These can be physical or mental depending on the individual. However there’s no doubt some people feel intimidated by the very thought of starting classes like these. There could be all kinds of reasons for this. Maybe you’ve experienced some of them. For instance you might feel uncomfortable about meeting new people, including the trainer. You might feel self-conscious about getting to grips with something new, especially if you have a tendency to be clumsy. Maybe you are nervous of trying to practice new things in front of other people. The one thing you have to remember is that everyone else will feel the same. You won’t join a class where everyone else is ahead of you in the learning process. You’ll join a class where everyone else likely feels exactly the same as you do. You might well feel nervous in the run-up to your first class. However within minutes of arriving you are likely to wonder what you were worried about. Everyone will realise everyone else feels like they do. And then the nerves will disappear and you’ll all start enjoying it. Of course people learn at different speeds so some will advance more quickly than others. But you won’t be left behind. Everyone progresses and you might pick up some things quicker than other people. You may also find certain things more challenging than others. Whatever happens, that initial feeling of being intimidated won’t last beyond walking through the door for your first class. 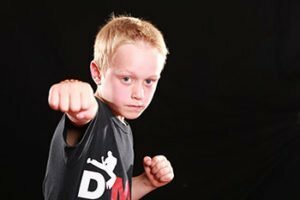 If you asked people who have been practising martial arts for a while, most if not all of them would probably admit to being nervous when they started. Eventually, you’ll be where they are now, and it could take less time than you think to get there.